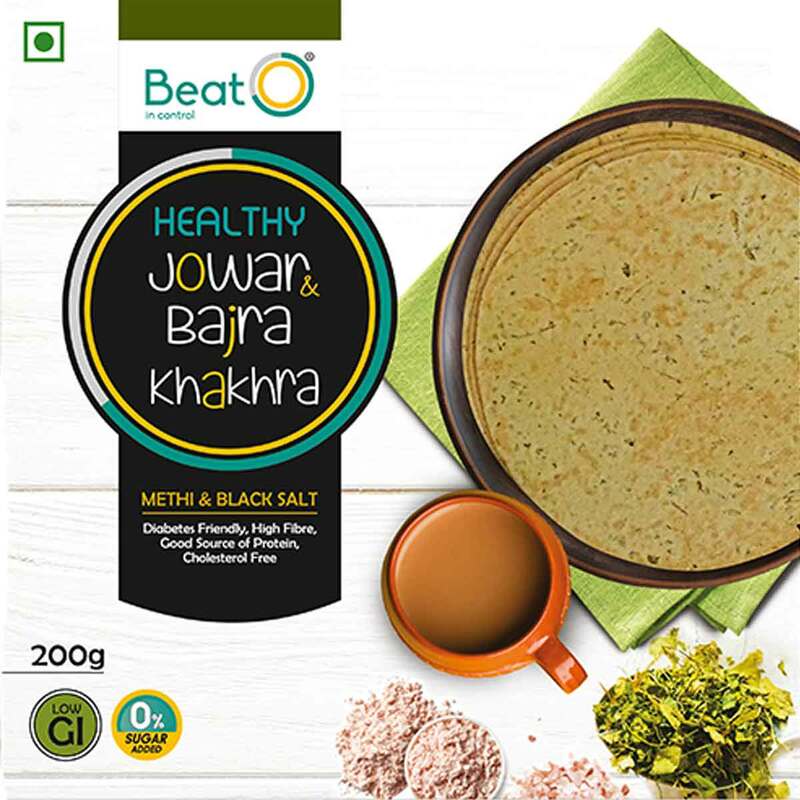 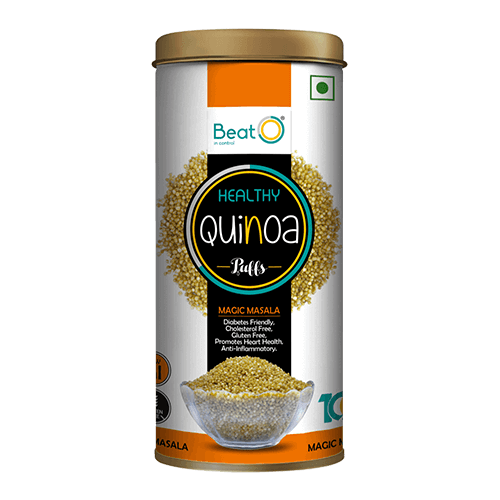 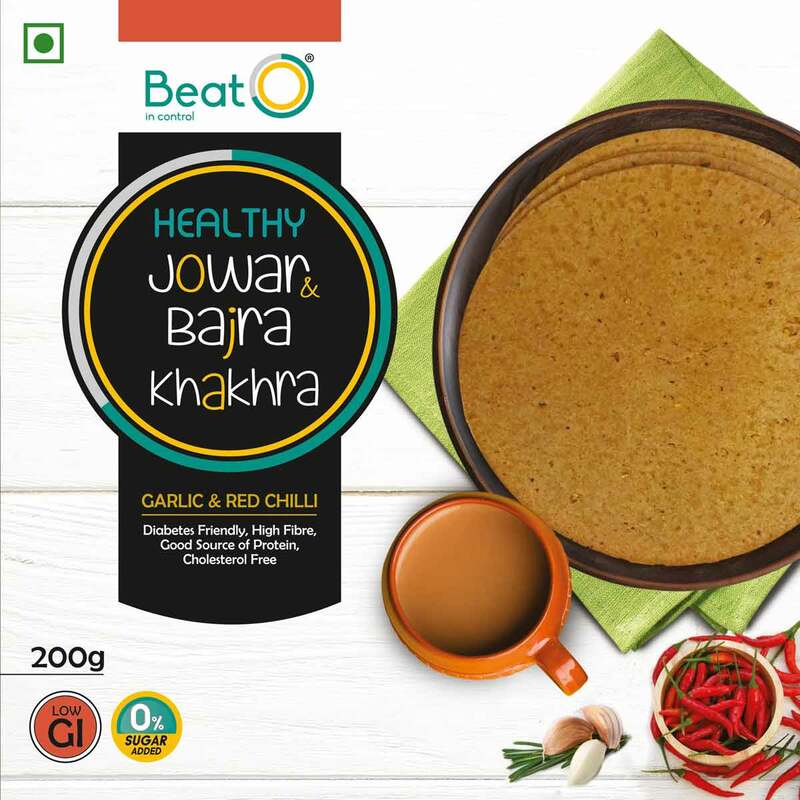 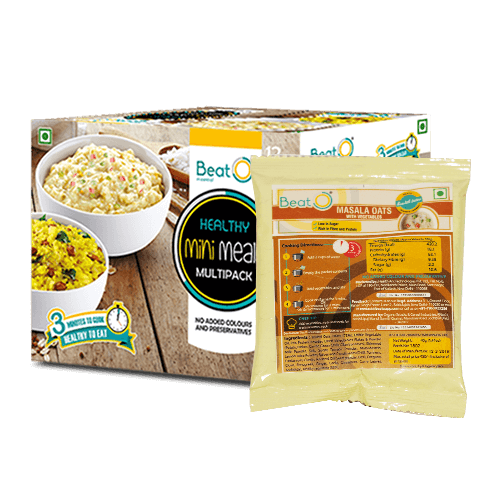 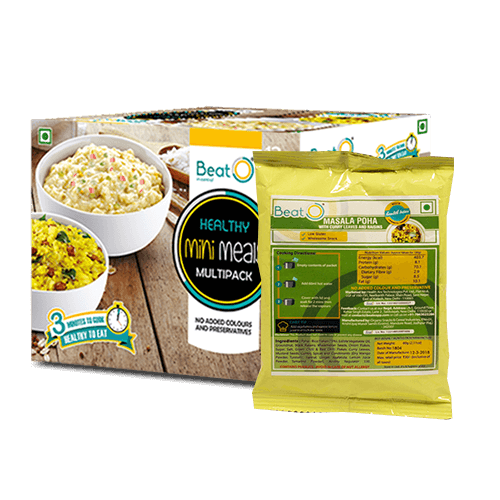 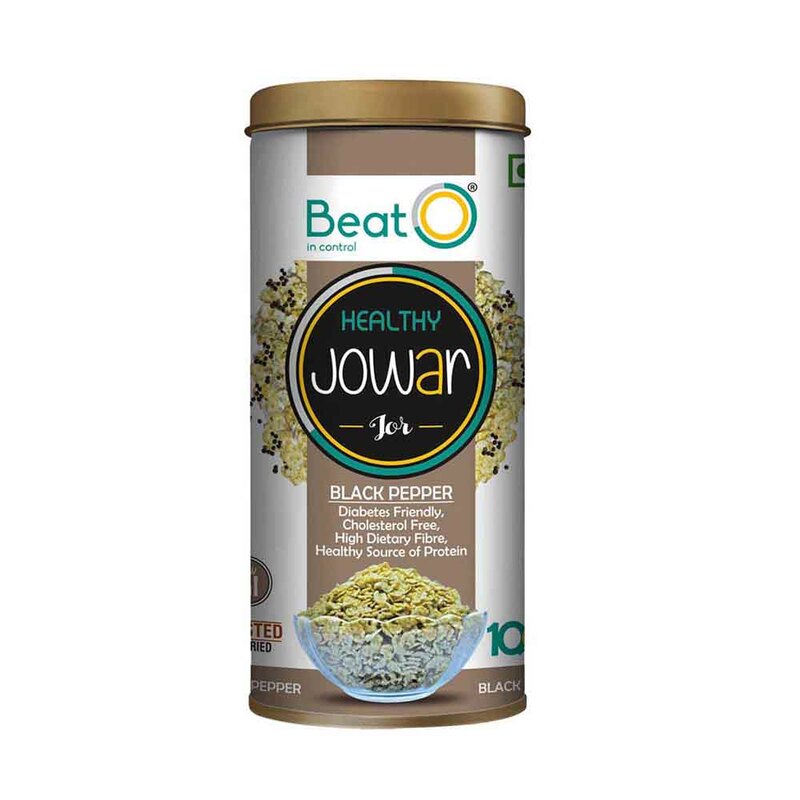 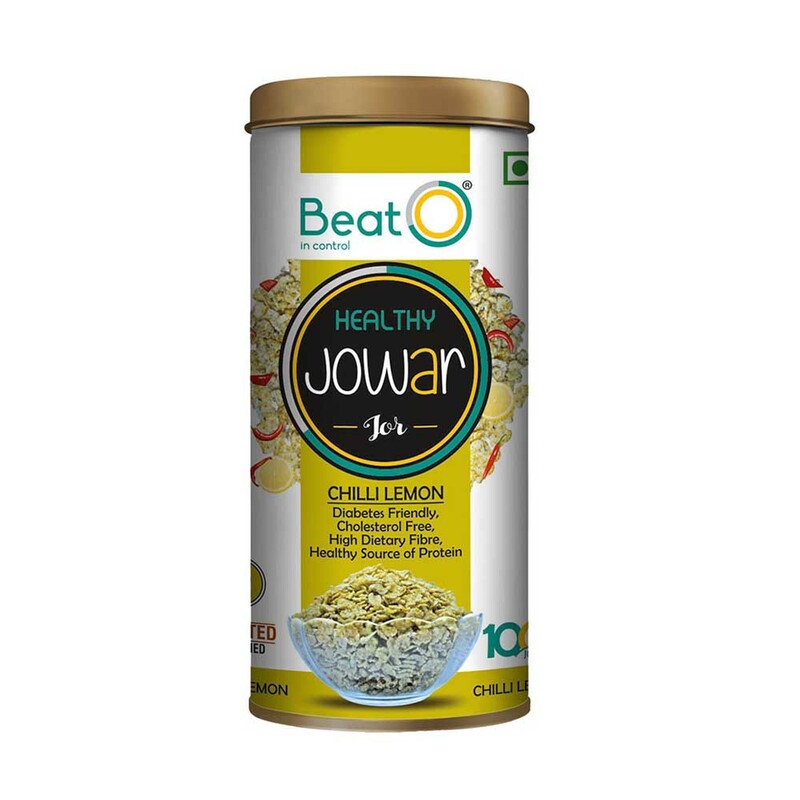 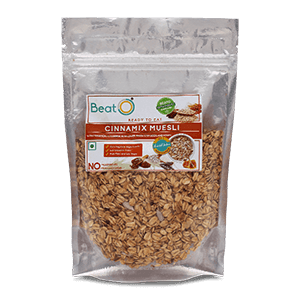 BeatO Jowar and Bajra Khakhra is a special home recipe combining healthy Jowar and Bajra grain with the goodness of garlic and red chilli for delicious taste. 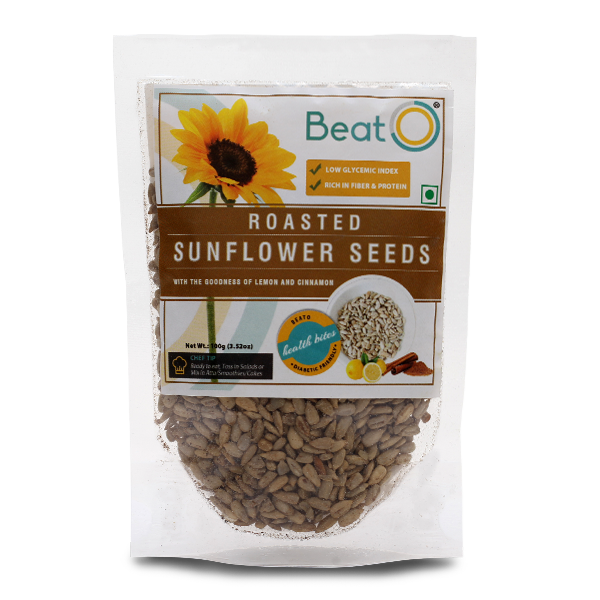 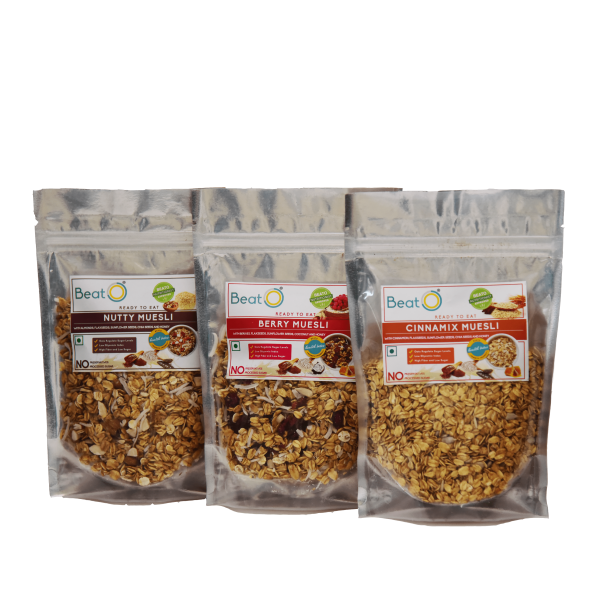 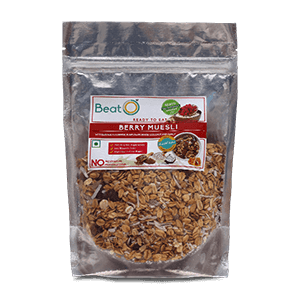 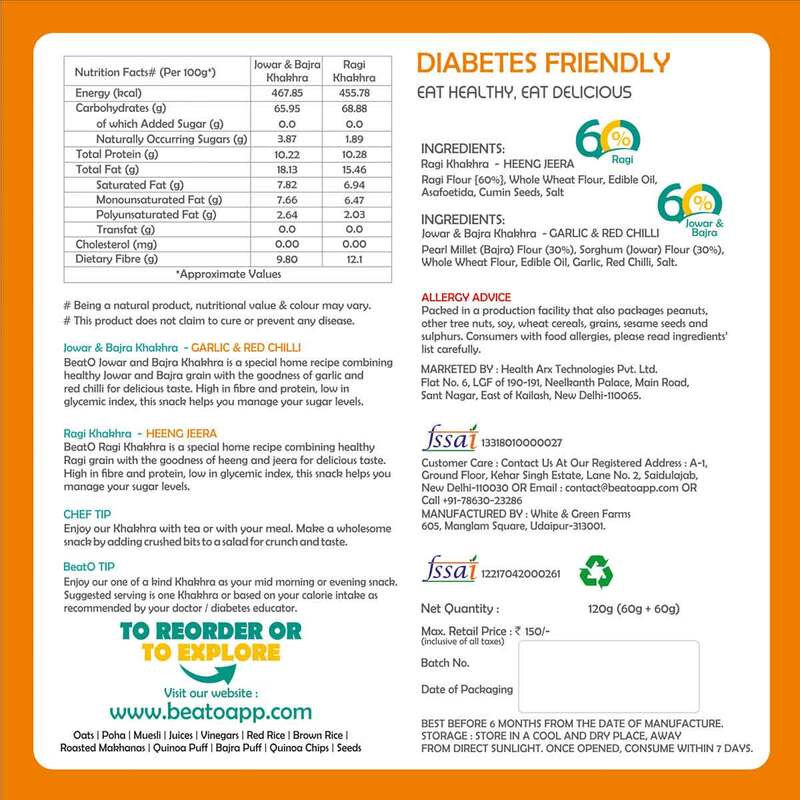 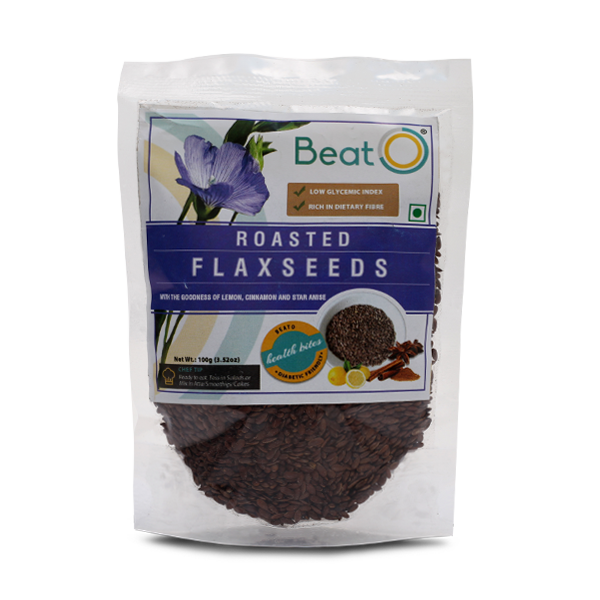 High in fibre and protein, low in glycemic index, this snack helps you manage your sugar levels. 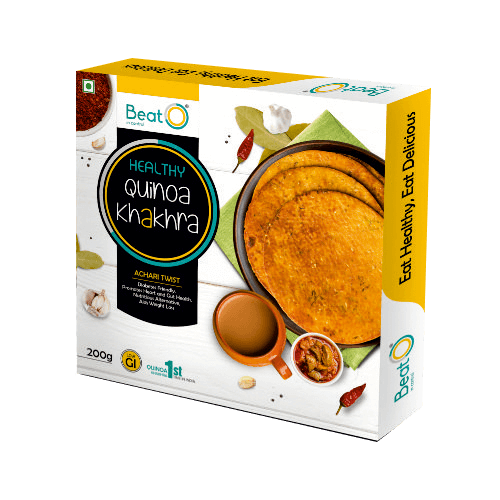 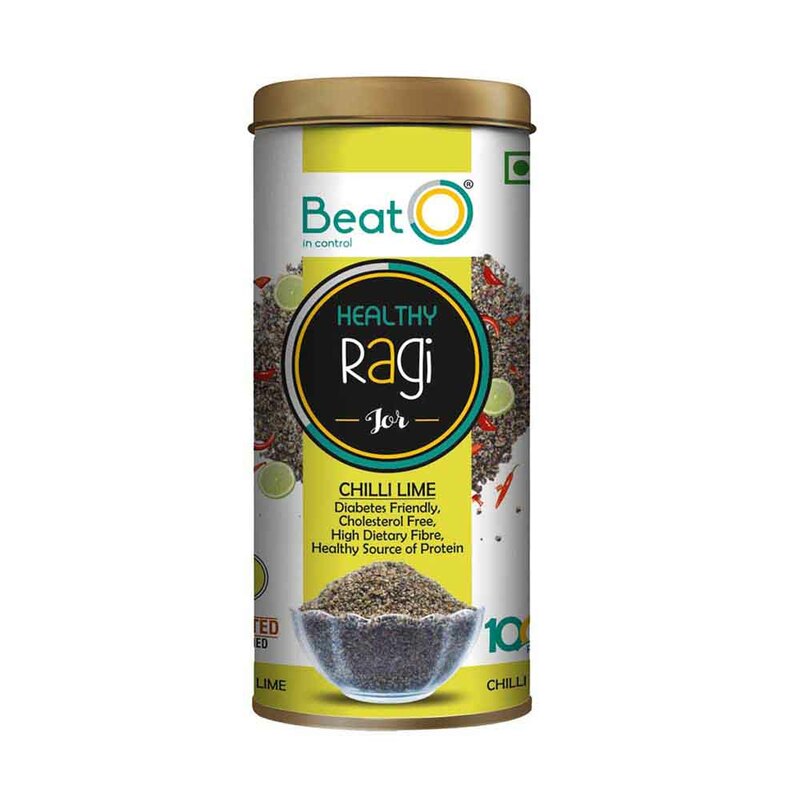 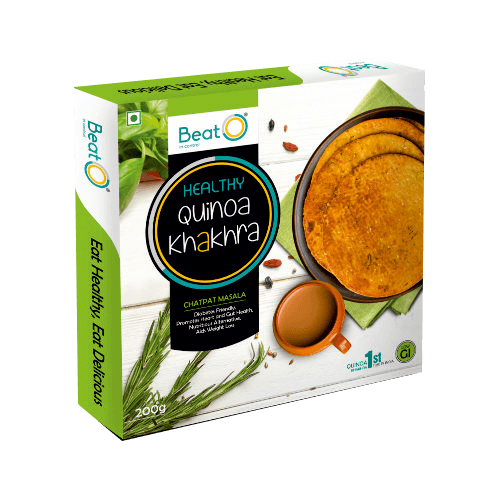 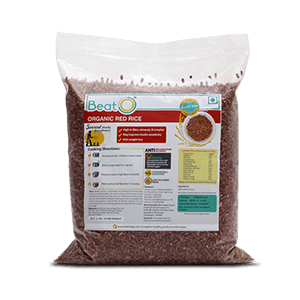 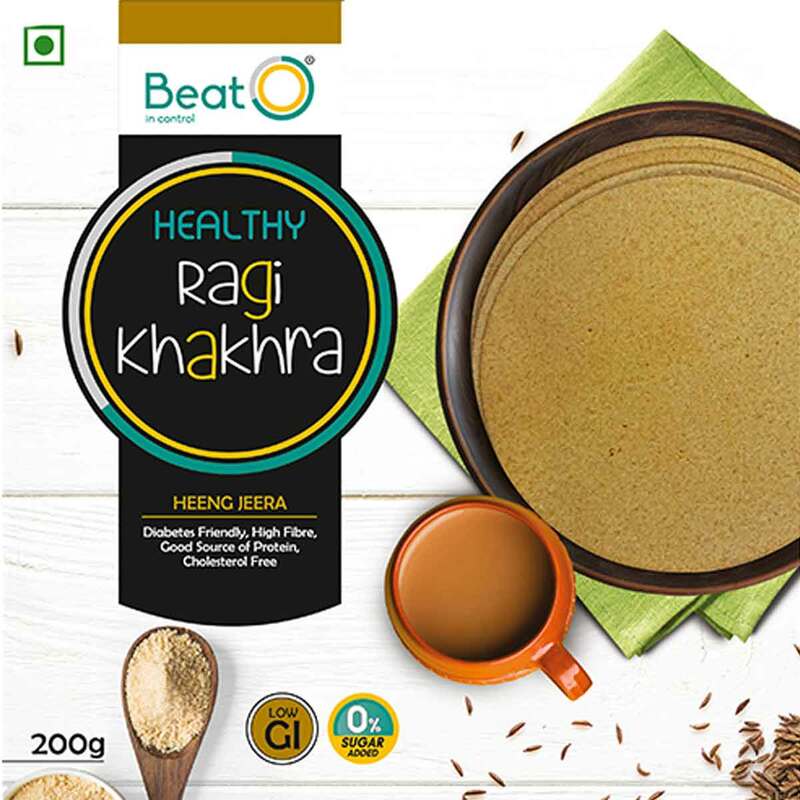 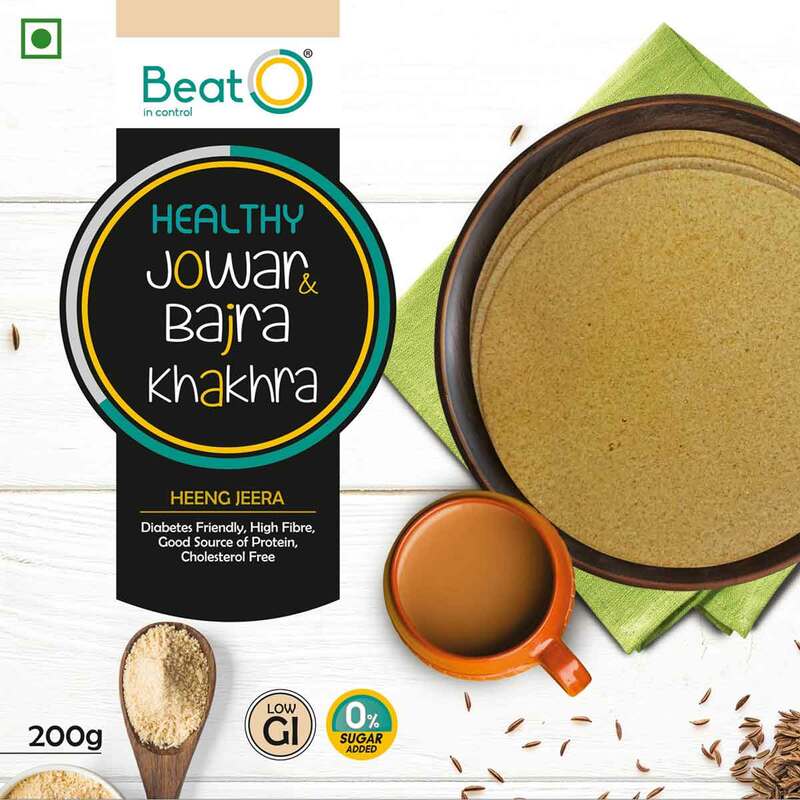 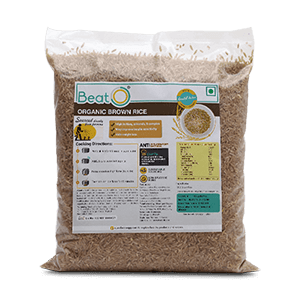 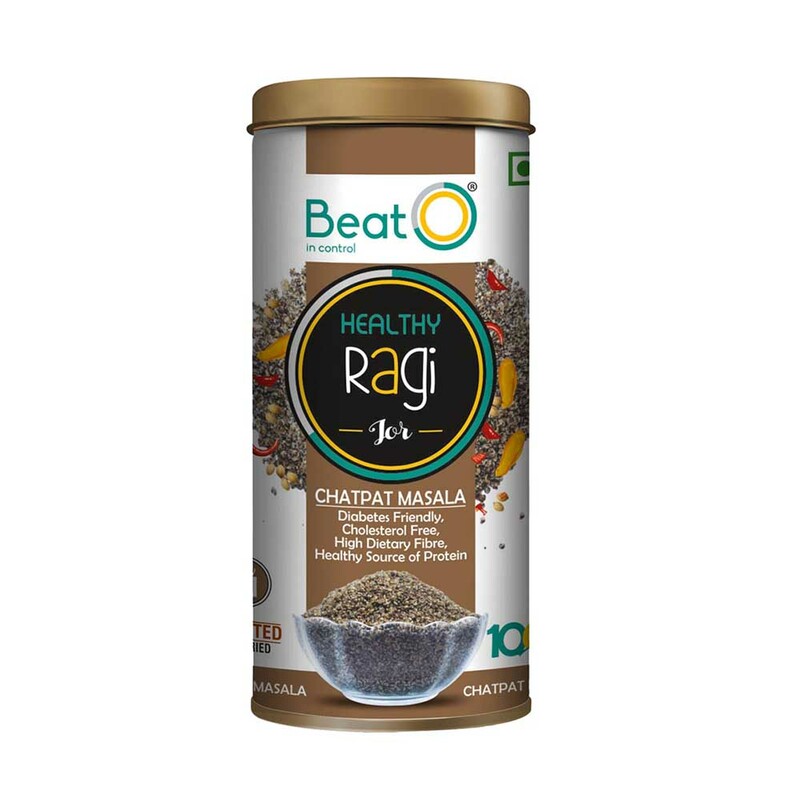 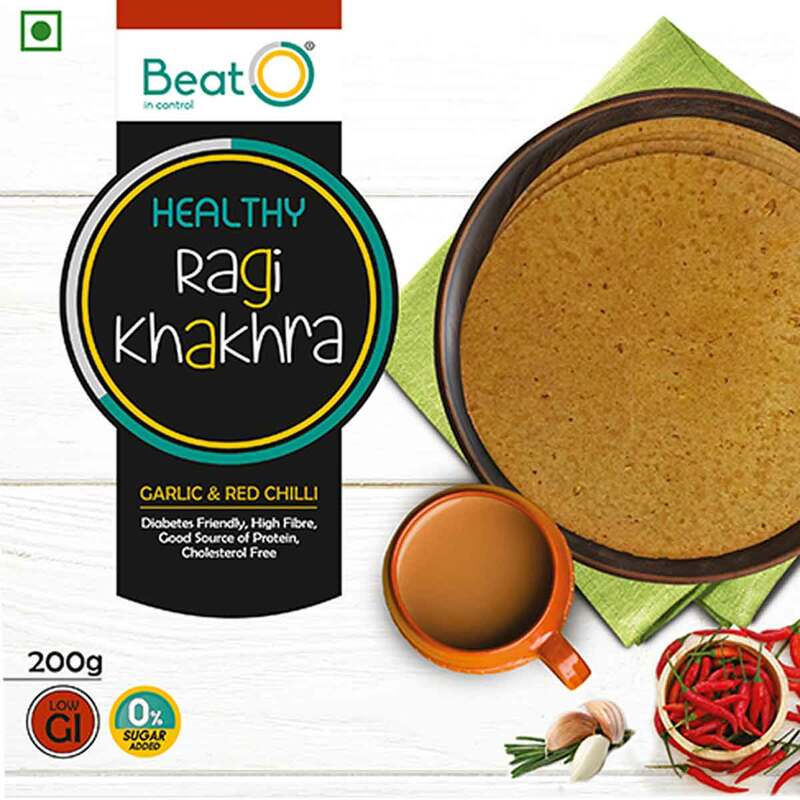 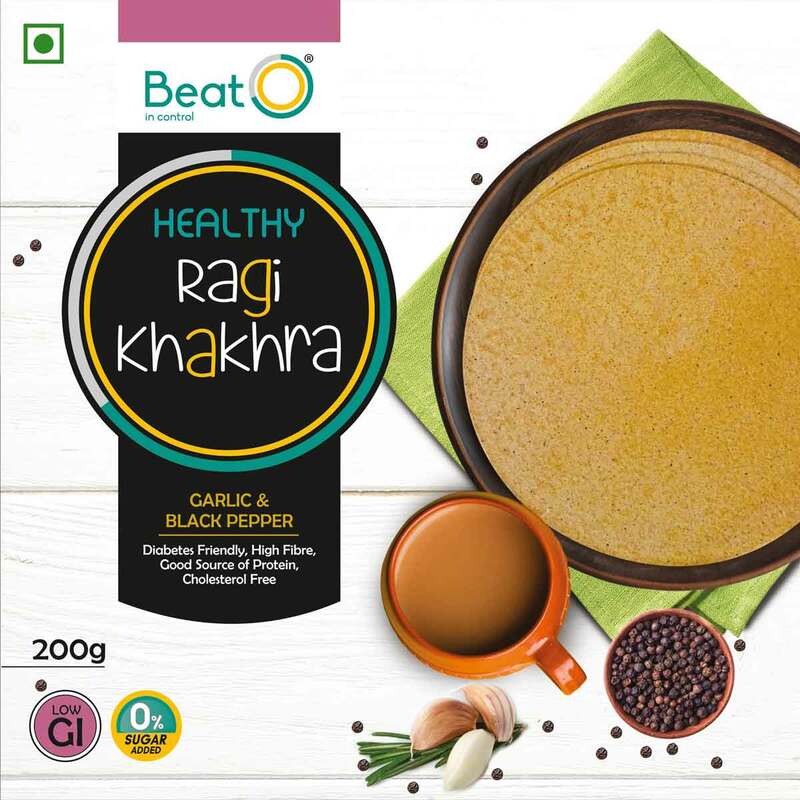 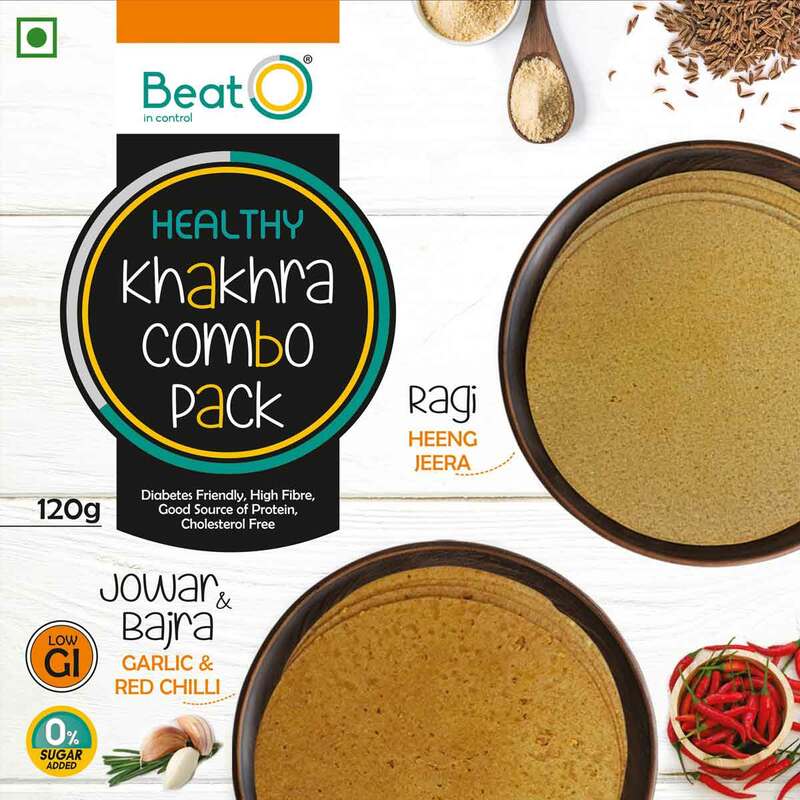 BeatO Ragi Khakhra is a special home recipe combining healthy Ragi grain with the goodness of heeng and jeera for delicious taste. 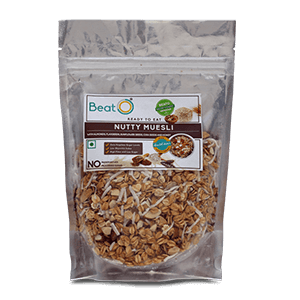 High in fibre and protein, low in glycemic index, this snack helps you manage your sugar levels.